Driving into flood waters like these — on roads with temporary barriers — might cost you a lot more than a stalled car and wet shoes. Proposed legislation calls for a fine as high as $500 for motorists who ignore barriers and get stuck. HARRISBURG — If you’ve been tempted to drive around flood barriers on local roads — especially the frequently placed ones near the Brandywine on Rt. 926 — a local state legislator has a message for you: don’t do it, or the price might be a lot more than a tow truck and wet shoes, if proposed legislation is passed. State Rep. Steve Barrar (R-160, which includes Birmingham, Pocopson and Chadds Ford in the Unionville area) chairs a committee that considered a proposal this week prohibiting drivers from going past temporary road closing barriers when roads are flooding and fining drivers if police, local fire companies or even just a tow truck are needed to extract them. Fines could be as high as $500 for stranded motorists. House Bill 2199, written by Rep. Todd Stephens (R- Montgomery), would prohibit motorists from driving around traffic barriers used to close roads due to potential hazards, such as flooding — a common event on Rt. 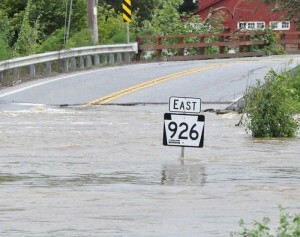 926, Creek Road and other local roads because of water, mudslides and other road hazards. 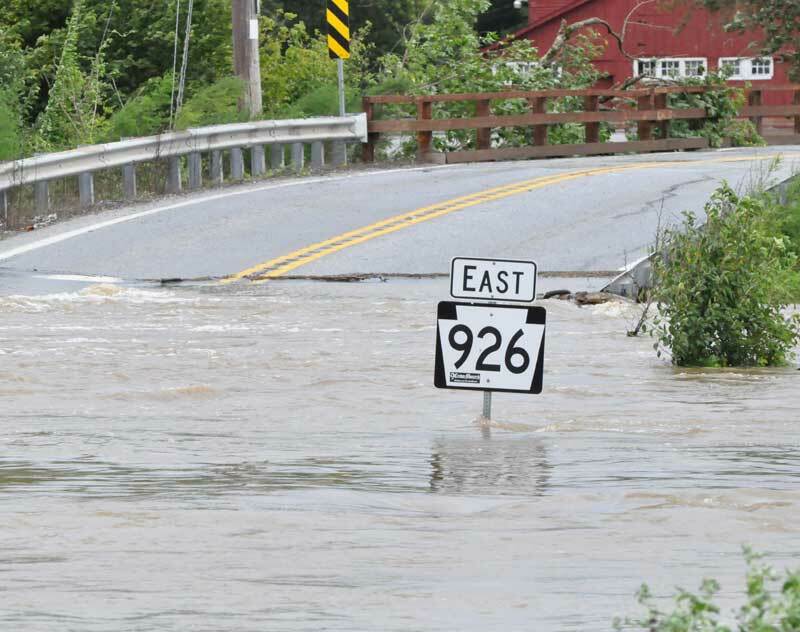 Although no local injuries or fatalities have been reported in recent years, it is not uncommon to see drivers ignore road barriers and drive through flooded areas — and the find themselves stuck with a flooded out-vehicle. Aside from the obvious hazard – should flood water rise, the stranded vehicles themselves can be a hazard for emergency vehicles needing to get access to the area. The committee approved an amendment to the bill offered by Rep. Joe Hackett (R-Delaware) to boost the fine to between $250 and $500 for disobeying traffic barriers which result in the individual requiring the services of emergency personnel, including towing services. Barrar’s committee also approved two other measures Wednesday: an increase of base minimum active duty pay for Pennsylvania National Guardsmen from $75 to $100; and a resolution to support the building of a VietNam Veteran Memorial underground education center. All three measures will now go to the full house of representatives for consideration.